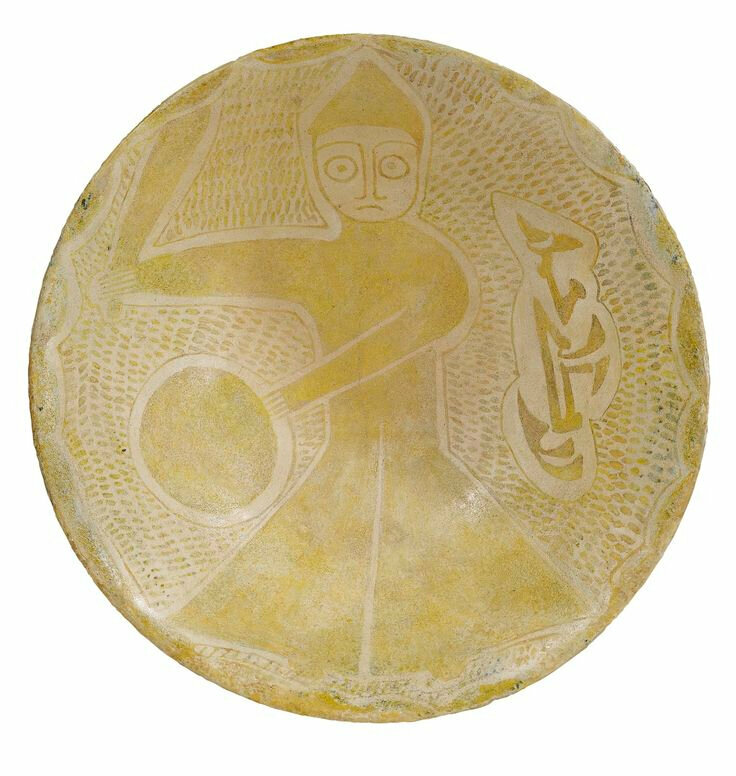 the soft paste porcelain bottle painted in a honey-lustre with vertical bands with alternating floral patterns, engraved brass nozzle with fantastical animal and human figures. 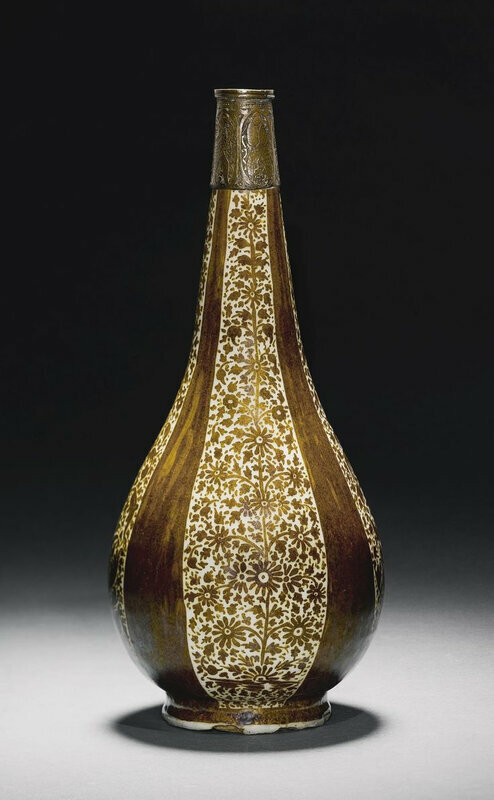 Note: Seventeenth-century Persia saw a revival in the use of lustre, and the shape of this bottle and its design, divided in between vertical bands of pure lustre, is very similar to one in the Al-Sabah Collection, Kuwait National Museum, inv. no. LNS 170 C (published in Watson 2004, p.479, cat.U.35). 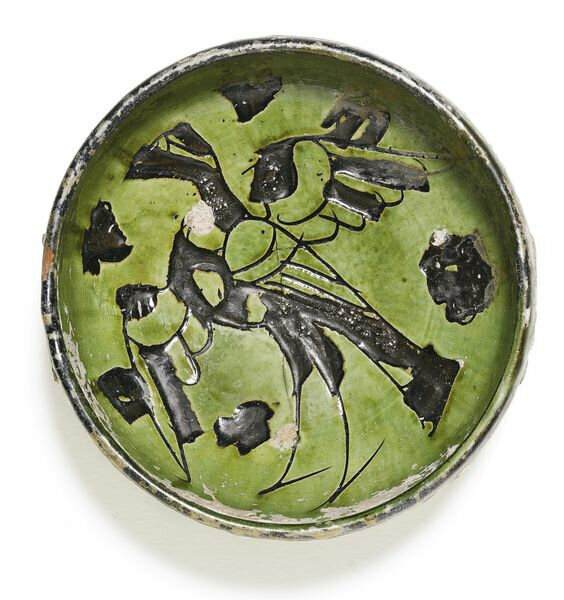 Whereas the shape is derived from Chinese models, the decorative motifs, comprising flowerheads with stylised leaves, can be linked directly to Persian models.